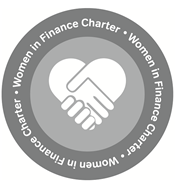 The BSA is proud to have signed up to the Women in Finance Charter, becoming one of the now 162 signatories. We have committed to work to increase the number of women in our small leadership team to 30% by 2021. Our positive action will include an insistence on gender balance and diverse long lists from any recruitment agencies that we work with. We will also review the development plans of our existing workforce and ensure that all recruiters receive training to counter unconscious bias. This is another excellent group of signatories to the Women in Finance Charter. Their actions, alongside those of the other signatories, have the potential to make the UK’s pre-eminent financial services sector more representative and more inclusive. I’m keen to see even more firms follow their example and make a positive, public commitment to improve gender balance in our financial services. The BSA operates equal opportunity employment policies. We do not discriminate on the grounds of a person's gender identity, marital status, sexual orientation, national or ethnic origin or disability in the employment of staff, or in our consideration of candidates for employment at any level. The BSA works to ensure that there is also equality of opportunity, regardless of hours worked. All conditions of service, including pay and staff benefits, transfer and promotion opportunities apply on a fair and equal basis to every member of staff. The BSA has 27 staff, of whom 8, including the Chief Executive,are in the leadership team.